They say that Texas is big. If you’ve been to Western Australia (WA) you’ll know that ‘big’ is a relative term. Western Australia’s size is so vast that Texas would fit within its boundaries three times, with still enough room left over for California and Connecticut to come visit. For the Europeans out there, Western Australia is as big as France, Germany, Spain, Poland, Italy, Greece, Portugal and Ireland combined. It is from this vast part of the world that the 2015 Procurement Leader of the Year hails. Kylie Towie is the Chief Procurement Officer of WA Health, the government agency responsible for providing health care to this enormous state and was recently awarded the prestigious title of ‘Procurement Leader of the Year’ at the Procurement Leaders Forum in London. Kylie graciously took some time to catch up with Procurious to discuss her achievement. Procurious: Kylie, first of all, congratulations. It is a huge honour to have been recognised as the Procurement Leader of the Year. Can you tell us what it means to you to take out this coveted award? Kylie: Thank you. To be completely honest, it was a huge honour just to be nominated for the award. The other nominees (Kellogg’s, ITV), along with companies in the room such as Kimberley Clark, Unilever and IBM are global industry leaders and to be mentioned in the same breath as such high calibre organisations was a great achievement. In terms of the award itself, it is a fantastic feeling to know that the work we’ve been doing at WA Health not only positions us as a leader in the Australian public sector (the department has also been recognised for it’s performance domestically), but is seen by the profession globally as something that is contemporary and leading the way in transformational procurement. Procurious: Can you give us some background to the projects you’ve been working on at WA Health? Kylie: My tenure at WA Health hasn’t been a long one. I was parachuted in, back in January 2014, to address some identified issues with the department’s procurement processes. My first task was to establish a picture of the WA Health procurement landscape. Despite an organisational budget in excess of $8 billion (AUD); there wasn’t a clear view of what was happening from a procurement perspective within the organisation. The department was also in the midst of constructing two new world-class hospital facilities at a cost of seven billion dollars. So procurement and spending was at the front of everyone’s mind. When you’ve got programs of that magnitude, it clearly puts pressure on the procurement environment. For us, it was a matter of understanding and determining the levers and mechanisms we could utilise, to ensure the business’s strategic goals would be achieved. Procurious: You’ve just mentioned that you were able to link procurement activities directly to organisational goals; can you expand on that? Kylie: At WA Health, we refer to procurement as business leaders and strategy leaders rather than procurement leaders. We aim to act as enablers to ensure the organisation meets its business objectives. I have found that if you spend too much time ‘talking procurement’ you quickly get labelled as ‘back office’ rather than being viewed as a strategic leader. The way that I see it, procurement underpins any business decision you make. Any business strategy requires a solid procurement strategy to sit beneath it. As procurement professionals, it’s our job to lift the conversation up a level. If you start to talk about business levers, value propositions and achieving strategic objectives rather than discussing supply, invoicing and cost savings, you’ll quickly change perspectives about the function and the value it can bring to an organisation. By making simple changes to your dialogue, you’ll find that business partners will see you in a very different light. Procurious: How did you go about delivering the transformational change program at Western Australian Health? Kylie: Stakeholder engagement was critical. Doctors, nurses and clinicians are rightfully concerned with one thing: Better patient outcomes. At times, business and procurement processes can be seen as a burden or a roadblock to health professionals getting what they need to do their jobs. Obviously in health, the ability to get the right equipment or product at the right time has the potential to save lives. It was critical, that in order to be seen as enabler, rather than a roadblock, we engaged closely with these practitioners. At the beginning of the transformation process, I met with a number of the most senior clinicians from across the state to discuss their problems and determine how, with smart procurement, we could help to solve them. By asking these questions we are immediately aligning ourselves with our organisations goals and our community’s expectations. Once we had an overview of what needed to be done, I set out to instil four fundamental procurement pillars that would guide our team through the transformation. The pillars we revolved our operations around were, governance, capability and capacity, training and education, and monitoring and evaluation. I have used the same framework to great effect in every procurement transformation I’ve run. Off the back of these pillars, we identified 24 strategic recommendations, which resulted in 62 separate procurement improvement projects. We took a systemic approach to addressing these projects and finally delivered all 62 by the 19th of July this year (a remarkable 12 month turn around). The transformation process means that WA Health now has a very robust foundation for procurement processes and activities with clearly defined roles and responsibilities. It’s also helped us improve our relationships with our providers and vendors. Procurious: How is Procurement now perceived within WA Health? 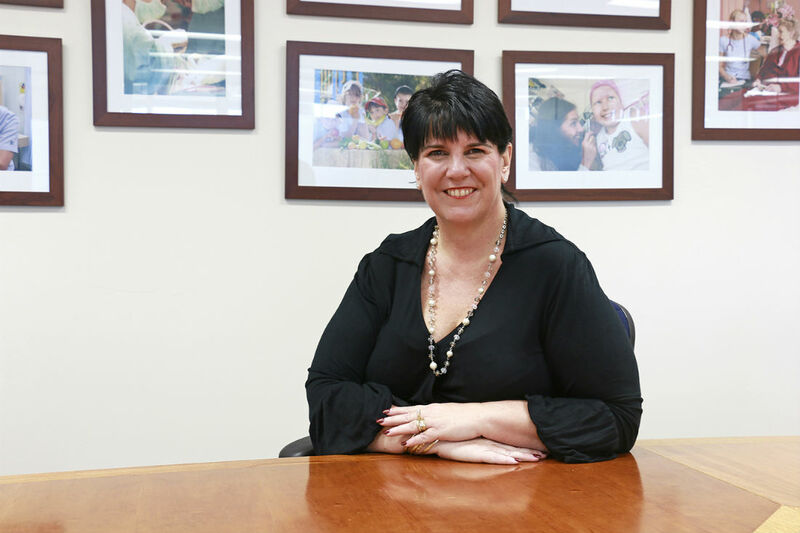 Kylie: I think the critical success factor here is that we now have a seat at the executive table and are viewed as essential in the strategic planning of the organisation. This shows that we’ve earned the trust of the organisation. We earned this trust by pointing out where the department was exposed from a legislative point of view, but more importantly, by pointing out the holes in their fiscal buckets and, providing value through robust strategic business advice through procurement solutions that meet our organisations goals. We were quickly able to point out where financial leakages were occurring. But more than that, we were able to suggest minor changes that stopped these leakages. We also quantified the dollar impact that implementing the changes had made to the organisation. Needless to say, after this, we found that we very quickly got the buy-in we needed. As I mentioned earlier, another critical factor that lifted our perception was changing the way we spoke about our work. We’ve lifted the level of our conversations up to a point where we are now addressing real business problems faced by the department. By speaking their language, we’ve earned their trust. The procurement department is now seen as a trusted business partner at WA Health. Kylie, once again, we would like to congratulate you again on this fantastic achievement and thank you for taking the time to share your story with Procurious. This there anything else you’d like to add? Kylie: I would like to give some praise to my team here at WA Health. They have been remarkable; there is no other word for it. We are only a small team, but they are the most outstanding, passionate, committed, driven group of individuals you are ever likely to meet. You simply can’t achieve things like this alone; you need people who share your passion and your drive. I really can’t speak highly enough of them.